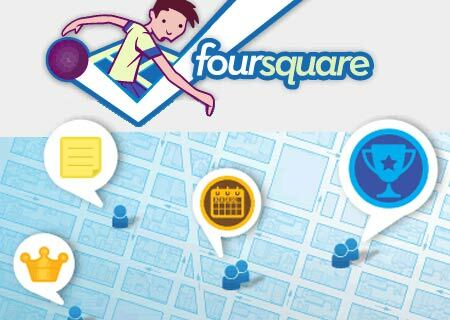 Foursquare is primarily for letting your friends know where you are and figuring out where they are. Its basically a location-based social networking game. Secondarily, it’s for collecting points, prize “badges,” and eventually, coupons, for going about your everyday business. I have been using foursquare for just over 3 weeks now and it is addicting. Every time I visit a new place, I am eager to check-into the establishment on my mobile phone using the foursquare application. In just 21 days out I have 141 check-ins and 11 badges! After checking into an establishment on foursquare, I am alerted if any of my friends are also checked into the same place as me. It’s also great when friends are looking to meet up for lunch. They can see where I am eating at and join me or stop in to say hello. Users can add ‘tips’ to locations – a feature which is currently underused but has potential for leads as well as. Now when you enter a restaurant you have never been to before and ask the server what tastes the best, you can get another answer other than, “everything tastes great”. This new feature to foursquare will greatly increase it’s marketability. 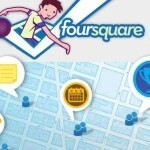 Foursquare has already signed deals with Metro in Canada, Bravo TV and the FT. The potential is obvious: content directly relevant to your location. The big issue for Foursquare is whether it can achieve the scale that most publishers need. Award discounts and promotions to users would frequently shop or check in to the establishment.